Super Disco Edits continues to unearth unreleased gold. Their latest 12" boasts two previously unheard gems by Doris Troy, an American soul singer whose career was revitalized when she moved to London and released an eponymous album on the Beatles' Apple Records in 1970. "What'cha Gonna Do" is a radical revision of Troy's popular 1964 single. 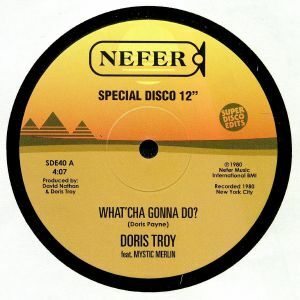 This version was recorded in 1980, with Troy singing beautifully over a hazy reggae-soul backing track provided by popular jazz-funk combo Mystic Merlin (they of "Just Can't Give You Up" fame). 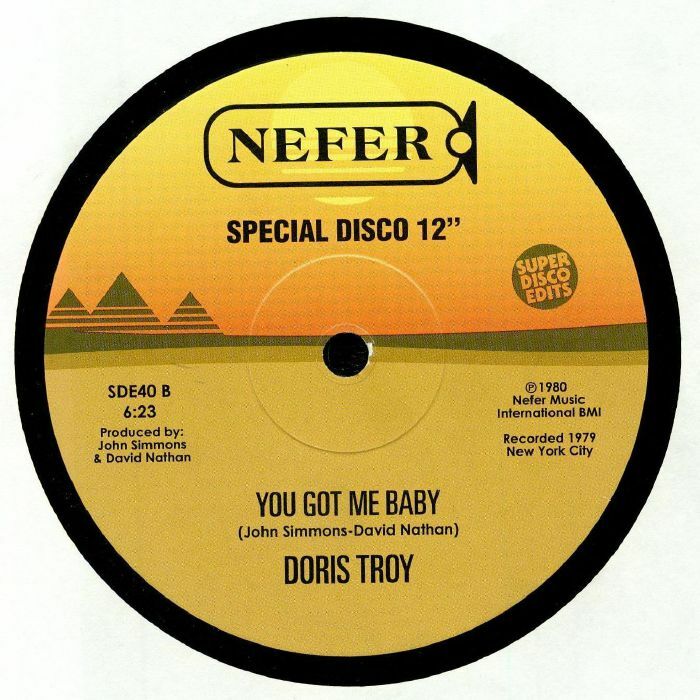 Flipside "You Got Me Baby", meanwhile, was recorded a year earlier in New York, with producers David Nathan and John Simmons conjuring up a string-drenched disco anthem onto which Troy could brilliantly do her thing.